Rwanda is a landlocked country with a thousand hills, moderate climate, diverse natural beauty and amazing cultures. Bordering Uganda to the North, Tanzania to the east, DR Congo in the west and Burundi to the south. With 5 volcanoes, 23 lakes, numerous rivers, hills, savannah plains, Rwanda is a top tourism destination in Africa. 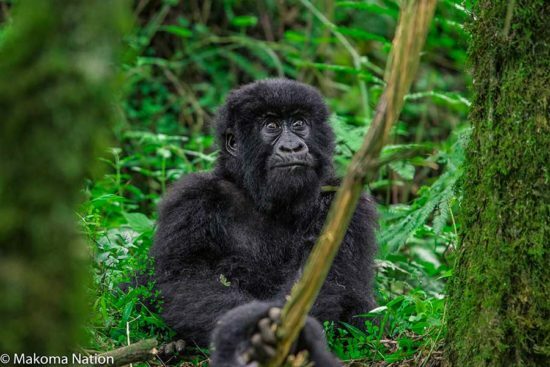 While in Rwanda, you shouldn’t miss the chance to enjoy primate tracking. Common primates found include chimpanzees, golden monkeys, collobus monkeys, baboons and more. The Nyungwe forest is home to habituated chimpanzees and 12 other primate species which include Ruwenzori Black & White Colobus monkeys. The Golden monkeys can be found in the volcanoes national park & tracking is available starting at 7am just like gorilla trekking. Golden monkeys are commonly found in the bamboo vegetation in the Virunga volcanoes and habituation has helped them to overcome their initial shyness to accept their daily visit by researchers and tourists. However Akagera National park will reward you with sightings of the olive baboons, vervets and the secretive blue monkey. Gorilla Trekking is one of the common activities tourists have loved to do while in Rwanda. The mountain gorillas are found in the Volcanoes National park and over a third of the world’s remaining gorillas live here. Getting close to the gentle giants is one of the best experiences ever for visitors in Africa. With over 10 habituated gorilla families, tourists trek the gorillas early in the morning and this probably takes 2 to 7 hours before reaching them. While at the Volcanoes, you also have an opportunity to hike to the Dian Fossey Grave site. One of the best ways to enjoy Rwanda is through Culture, traditional dance, food and crafts. You can do this by visiting the Ibyiwacu Cultural village located in Musanze district in Kinigi close to Volcanoes national park. 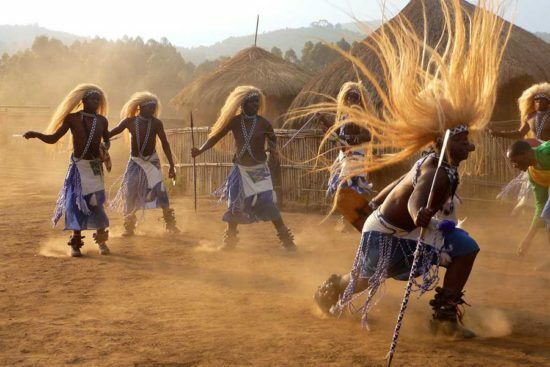 The cultural village gives you a chance to meet local people and get to see the finest diplays of Rwanda’s culture. While here, you’re able to enjoy community walks, visit the King’s palace, enjoy local traditional dances, prepare & taste local food, visit the Batwa pottery plus so much more. The Genocide Memorial centers are places of remembrance and learning which host tens of thousands of visitors each year. The main center is in Kigali which was opened in 1999 and has exhibitions, memorial gardens, educational facilities and the Genocide Archive of Rwanda. The genocide Memorial centers play a vital role within Rwandan national, social and cultural identity. The other centers in Murambi, Ntarama, Bisesero and Nyamata also hold a rich history of Rwanda’s 1994 genocide and it’s quite an emotional tour. 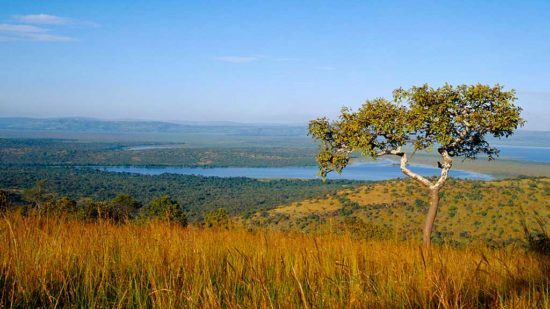 The Akagera National Park in Rwanda named after the Akagera River is one of the wildlife parks in Africa which have the Big Five animals. Once here, expect to see a huge number of predators including the leopard, hyena, Jackal and the lions. The park has abundant wildlife, primates and bird species as well. Rhinos were also re-introduced here recently in 2017. A game drive safari is one of the best ways to enjoy the great safari element or you could take a boat trip on the Lake Ihema. Other common wildlife seen here include elephants, buffalo, topi, zebra, waterbuck, roan antelope, giraffe and eland. The Lake Kivu is a fresh water lake and with pleasant beaches on the lakeshores. If planning to relax and enjoy your stay in Rwanda then this would be Ideal. You can also take boat trips on the Lake Kivu to nearby islands i.e. Napoleon Island and Amahoro Island. While here you also have opportunities to visit the nearby towns of Gisenyi, Kibuye and Cyangugu. Important birding areas in Rwanda include Cyamudongo, Nyungwe, Akagera, Akanyaru wetlands, Rugezi etc. Nyungwe alone has over 300 bird species which includes 16 endemics while Akagera has more than 500 bird species which includes several endemic species as well as rare gems. Cyling on the Congo-Nile Trail is one of the best ways to discover Rwanda. The trails and roads run from Gisenyi to the town of Cyangugu. The congo nile trail gives you sightings of unending rolling hills and innumerable towns and villages. Biking on this trail takes about 5 days, which will give you rich views and amazing cultural experiences while on the way. This is an off the beaten path adventure for any tourist in Rwanda willing to experience more.